EvoNexus alum Edico Genome is the developer of the DRAGEN Bio-IT Processor, the world’s first next-generation sequencing bioinformatics application-specific integrated circuit. This chip analyzes the large amount of data produced by next-generation sequencing quickly, accurately, and cost effectively. Edico Genome was voted first in the Top Innovations of 2014 awards by The Scientist Magazine for its DRAGEN Bio–IT Processor. The Scientist’s Top 10 Innovations is an annual competition that considers products in the field of life sciences and relies on a panel of five expert judges to pick the winners. President and CEO Pieter Van Rooyen was also a co-founder of EvoNexus alum ecoATM prior to working with Edico Genome. 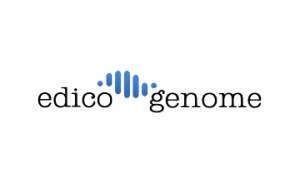 Edico Genome received funding from the Qualcomm@EvoNexus program.